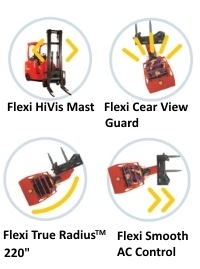 Flexi ® can move 25% more pallets per hour than a traditional reach truck. Click for more information. 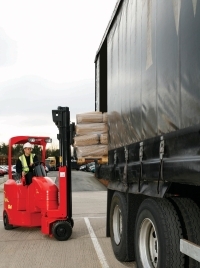 The Flexi G4 electric powered articulated forklift truck is the most popular articulated forklift truck in Europe. Click for more information. 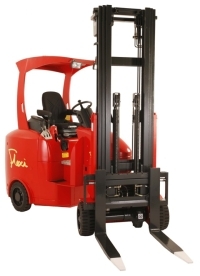 Flexi's unique design ensures up to 50% space saving compared to a standard forklift truck. Click for more information. Flexi Articulated Trucks. For more information about the Flexi Range of Articulated trucks, click to view company website. Your enquiry has been sent to Flexi Narrow Aisle Ltd.